We are required by law to have a written agreement with the parents or guardians of each child we look after. This is helpful for all involved as it makes everyone's expectations clear from the beginning of the working relationship. 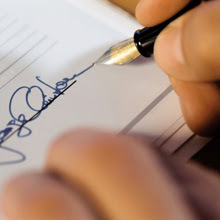 Once you have signed a contract it is a legally binding document. If you want to end the contract or change the arrangements, you must give us four weeks' notice. If you are unable or unwilling to wait for the notice period to end, you must pay the childminding fees that would have been due during that notice period. Contracts are reviewed every six months.